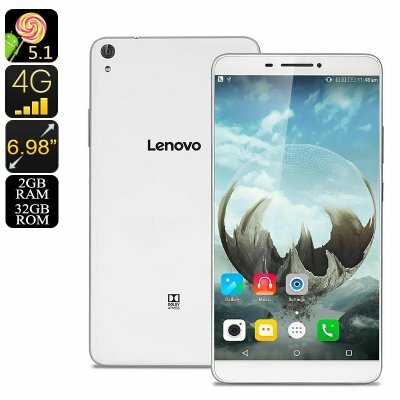 Successfully Added Lenovo Phab Android Smartphone - Quad-Core CPU, 2GB RAM, Android OS, 4G, Dual-Band WiFi, 6.98 Inch IPS Display, 13MP Cam (White) to your Shopping Cart. The Lenovo PHAB is a beautiful Android smartphone that, with its stunning 6.98 Inch display, brings along great on-the-go entertainment opportunities. Featuring IPS technology, this 720p HD display brings forth crisp visuals in vivid color and great detail – allowing you to enjoy all your favorite media like never before. Its Android operating system guarantees a smooth performance, letting you use all the latest Android features efficiently while experiencing a great user experience. Coming with 32GB of internal storage and a 64GB SD card slot, you can be assured that this Android phone packs all the memory needed for you to store years’ worth of mobile fun and entertainment – guaranteeing you’ll never have to be bored again. Packed within its sleek body this cheap Android mobile phone holds a sophisticated Quad-Core processor that has been clocked at 1.2GHz. It furthermore comes with 2GB of RAM and the Adreno 306 graphics unit. With all this powerful hardware at your disposal, you’ll be able to play games, watch movies, and enjoy the latest Android applications without needing to worry about slowing down your mobile phone. With Play Store access, it has never been easier to download the latest forms of mobile entertainment that now, thanks to the phone's 4250mAh battery, can be enjoyed for hours in a row without needing to worry about running out of juice. As a true phablet, the lenovo PHAB supports two SIM card slots and one IMEI number. Not only will you be able to use this affordable smartphone to make phone calls, it also lets you connect to 4G networks – providing you with lightning fast mobile data connectivity anywhere you go. It furthermore supports Dual-Band WiFi connectivity for the best internet connections at home or in the office. For all smartphone photography lovers out there, the Lenovo PHAB Android phone holds a beautiful 13MP rear camera that lets you shoot stunning images and Full-HD video. The next time you head out you’ll always have a professional-grade camera at your disposal – allowing you to capture all those special moments in life in stunning picture quality. The mobile phone furthermore comes with a 5MP front snapper which is great for online video calls and selfies. 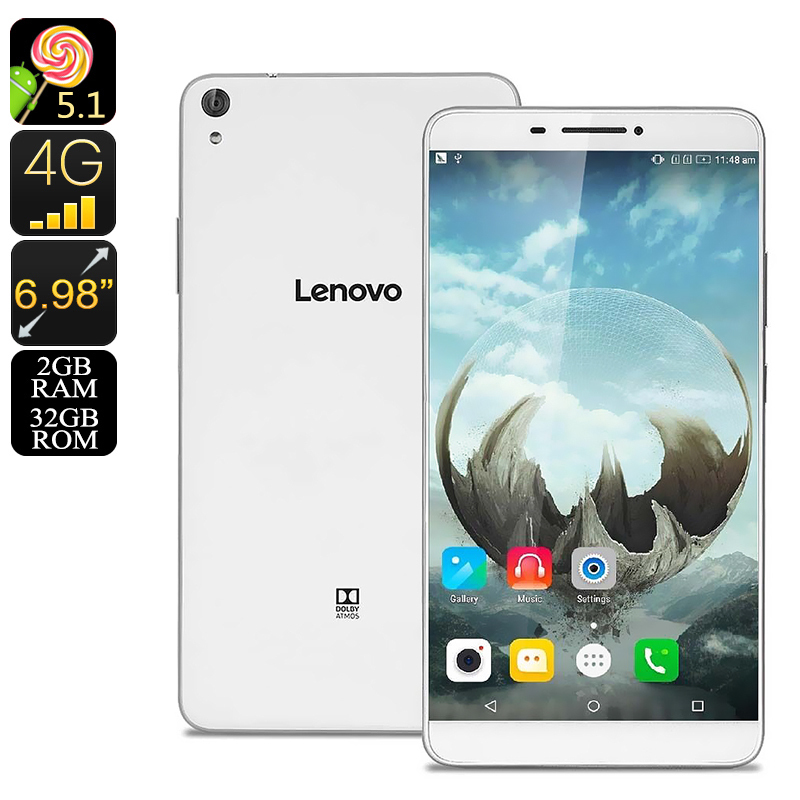 The Lenovo PHAB comes with a 12 months warranty, brought to you by the leader in electronic devices as well as wholesale electronic gadgets..
Arabic: - فابليت الروبوت - Chinese Simplified: - 安卓平板 - Czech: - Android Phablet - Danish: - Android Phablet - Dutch: - Android Phablet - French: - Android Phablet - German: - Android Phablet - Hebrew: - Phablet אנדרואיד - Hindi: - एंड्रॉयड Phablet - Italian: - Phablet Android - Japanese: - Android の Phablet - Korean: - 안 드 로이드 Phablet - Malay: - Android Phablet - Norwegian Bokmål: - Android Phablet - Romanian: - Android Phablet - Russian: - Андроид Фаблет - Spanish: - Phablet Android - Thai: - Android Phablet - Turkish: - Android Phablet - Vietnamese: - Android Phablet.